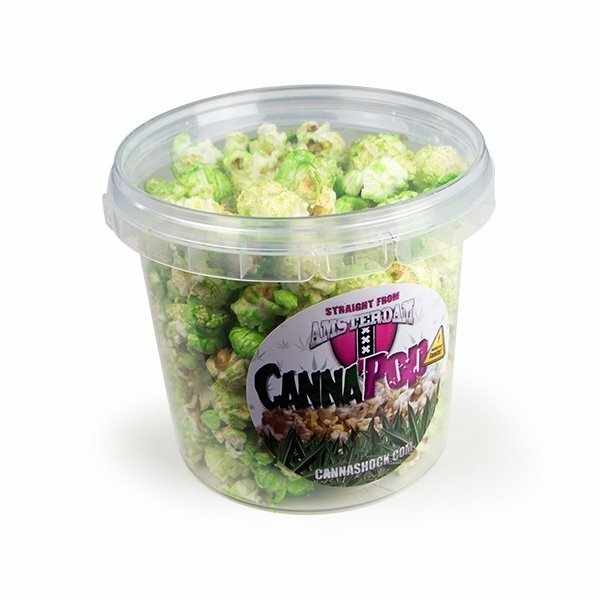 CannaPop by CannaShock is the tasty green popcorn for weed lovers: Shocking delicious with real cannabis flavour, this is the snack to munch on for watching your favourite stoner movie! 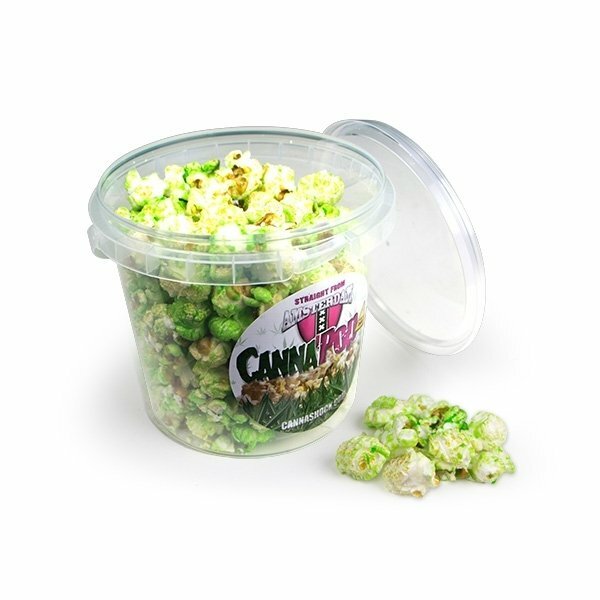 Comes in a sturdy, resealable bucket. CannaPop cannabis popcorn contains no THC.